A kitchen remodel and refurnishing completed in 2015 have made this mountain home even more special. 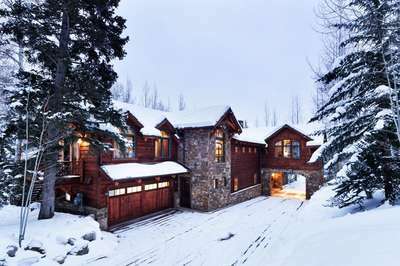 This 5 500 square foot luxury home sits on a private lot on a quiet street, and offers effortless ski access to the Cascade ski trail in Two Creeks. Vaulted ceilings and exposed timbers unite the open floor plan, creating a bright and luxurious mountain experience, framed by a large stone fireplace in the living room. Large windows bring in expansive mountain views, and multiple patio spaces will allow you to get more in touch with the mountains. 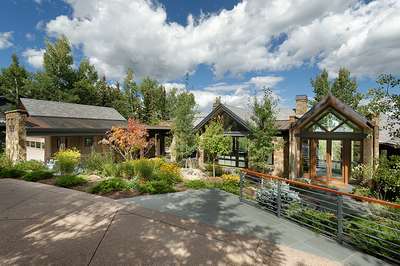 Five bedroom suites and a separate living area provide ample room for entertaining friends and family, and fantastic rental potential makes this the perfect Snowmass Mountain retreat. 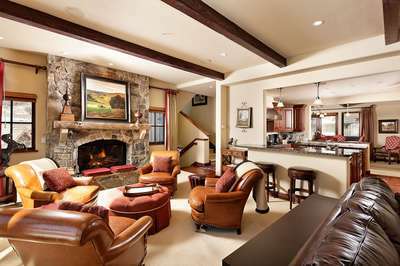 The Cascade Lodge offers quintessential ski access, with three bedrooms suites that walk out directly to the Cascade ski trail. Media room with wet bar, 70" television and game table. Two phone lines and fax machine available. Mid-week maid service provided ($36 an hour for additional maid service).